The sun rising behind the mist nets at the banding station. ‘Tis the season for year-end “Best of” lists, so I thought I’d do something of the sort for my 2017 banding station birds. 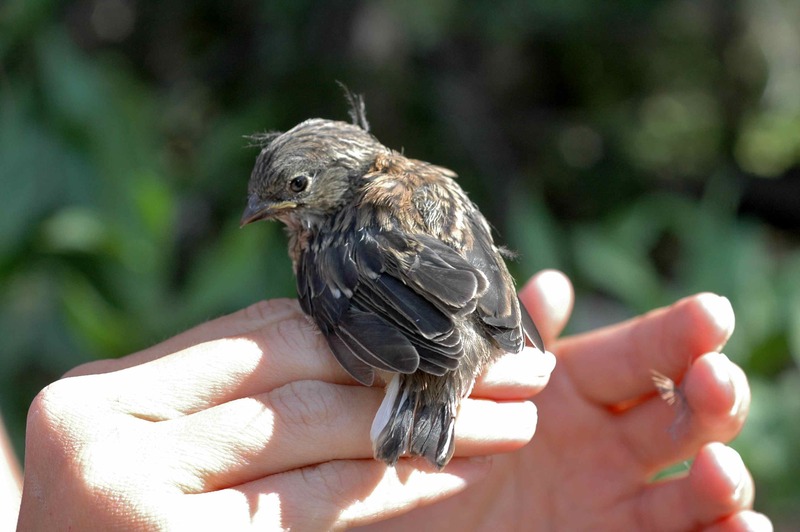 Except it turns out that we had too many cool birds this year to fit in one blog post, so I’ll be doing a series of banding station highlights posts. First up: the small and fuzzy. I always thought of puffins as fairly dignified birds. They look sleek and posed in the photos you usually see, like statues of themselves. 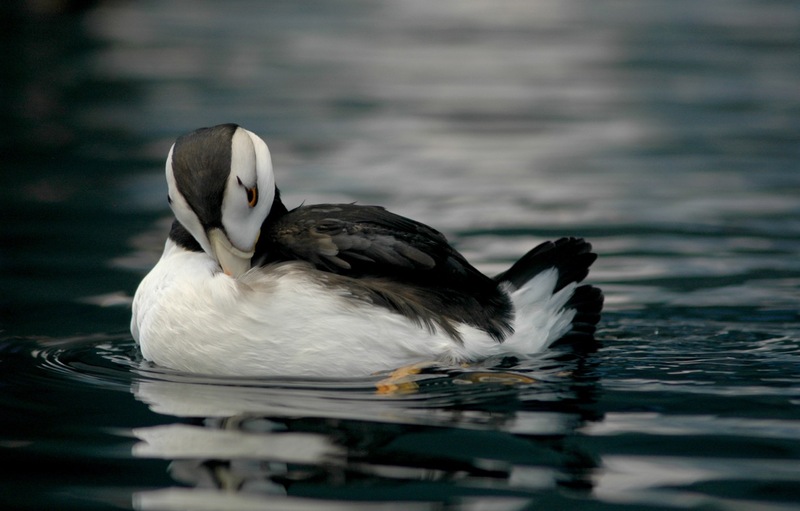 Recently, however, I discovered that to get that sleek, clean look, puffins take on some poses that would be quite hard to capture in a statue. 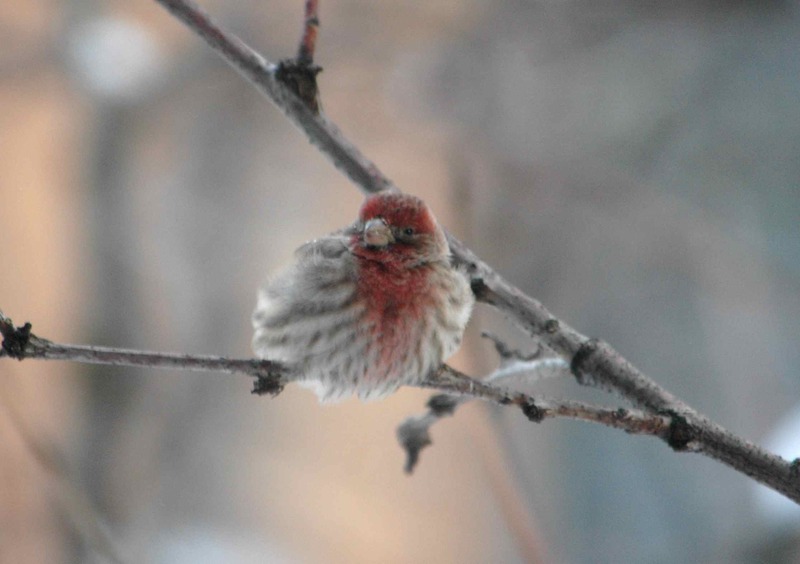 Just preening in a photogenic way…. It’s the time of year for hot chocolate and blankets and pictures of soft, fuzzy, round animals. I’ve become more-than-usually interested in bats recently, for extremely serious scientific reasons. But bats aren’t just cute (and really, what animal wouldn’t be cute wrapped up like a burrito? I challenge you to think of one; even a cockroach would look big-eyed and winning). They are also intelligent, social, and adept hunters. 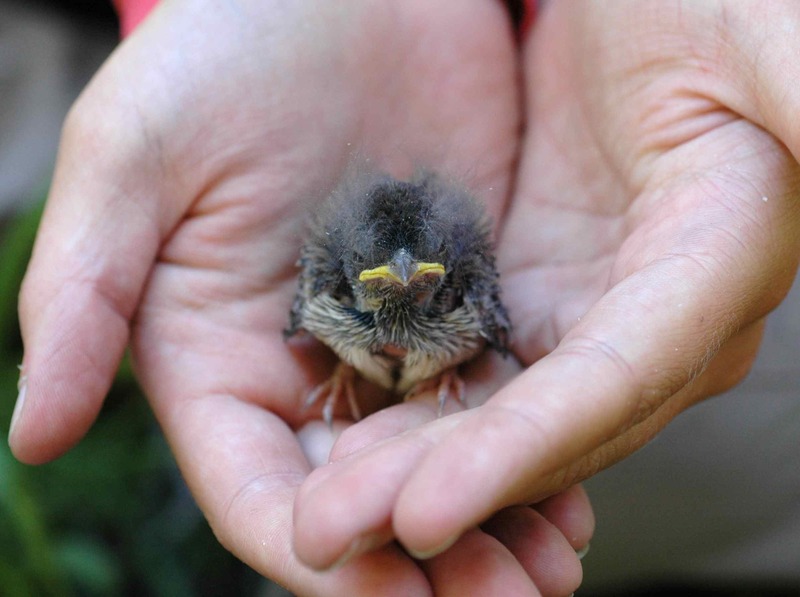 So the appearance that all these junco chicks have of possessing some serious attitude is merely an entertaining illusion. Everyone knows ducklings: yellow fuzz, big flat bills, big flat feet, cute little waddles all in a line after Momma, and superpowers. What, didn’t you know that last part? 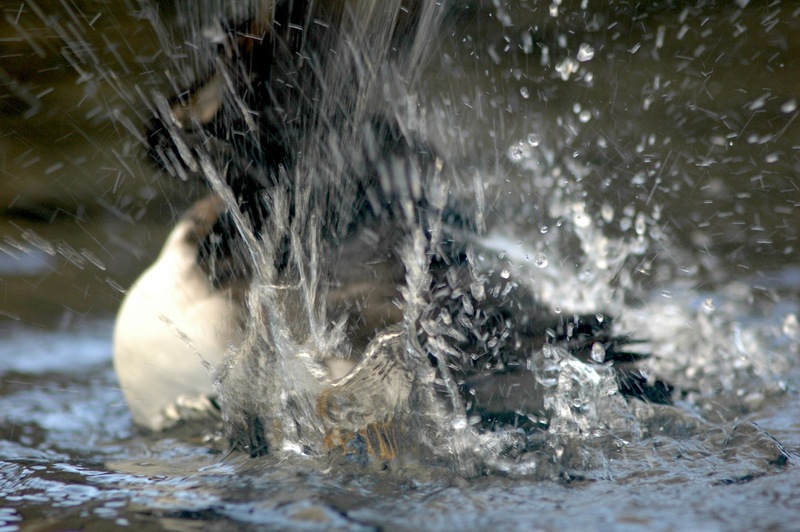 Several duck species nest high above the ground in tree cavities. This is safer than nesting on the ground, predator-wise, but it also means that the ducklings hatch very, very high up. And then they have to get down. 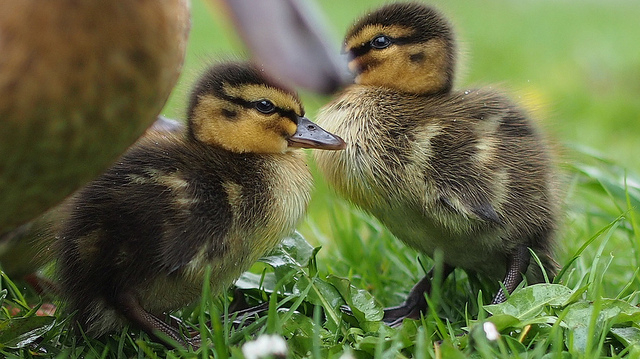 When they hatch, the ducklings weight very little, which helps: the less you weigh, the less you are hurt by falling. Terminal velocity—the fastest that gravity will make you fall—depends on weight, so small creatures are essentially safe from falling no matter how far they fall. The cushiony leaf litter on the ground helps the ducklings too. And notice how they flatten out, spreading their little legs out behind and their wing stubs out front, their bodies as spread out as possible: they are gliding—albeit not as well as a true glider like a flying squirrel, but nevertheless slowing their descent so that they can land safely. Genetics is complicated. I have taken courses to this effect; I have taught the concept in Introductory Biology. Mendel’s peas with their neat logical Punnett squares were a lucky rarity—each trait governed by just one gene, each of those genes on a separate chromosome. The genetic basis of the vast majority of traits is far more complex. If the genes involved aren’t physically linked (called “linkage disequilibrium”) then they are pleiotropic (influencing many different traits at once), or epistatic (modified by other genes), or simply so subtle that their effects disappear in the noise of environmentally-caused trait variation. Relating traits to genes is hard. I know this; I understand it; but until recently, I had never actually seen it. 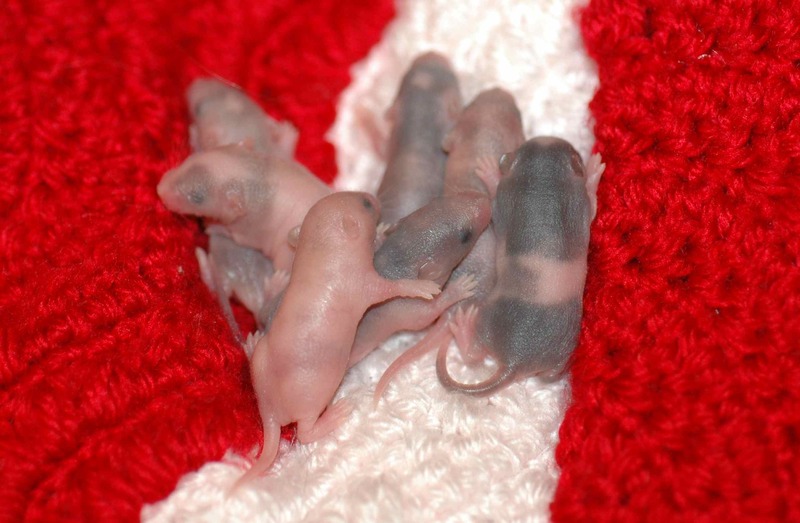 Then my pet mice decided to give me an object lesson in genetics. 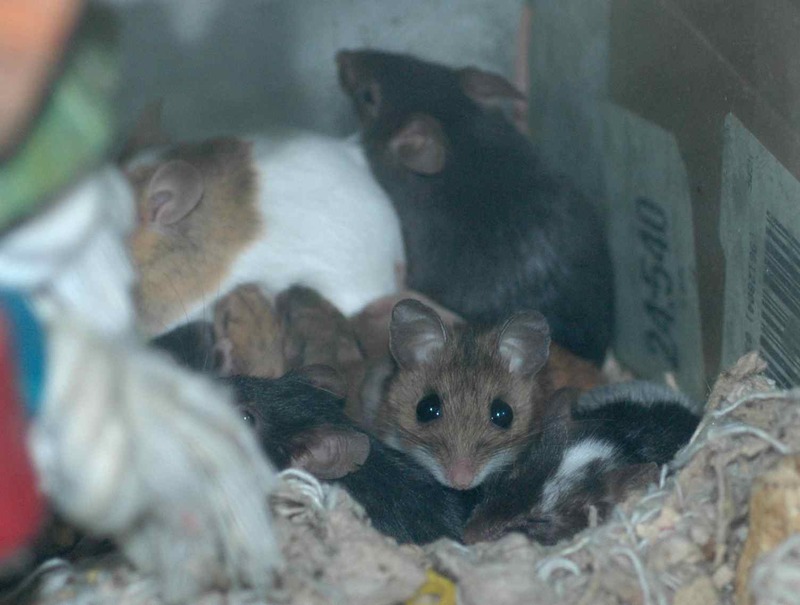 What happens when you think you have all female mice, but you actually have mostly females and one male?